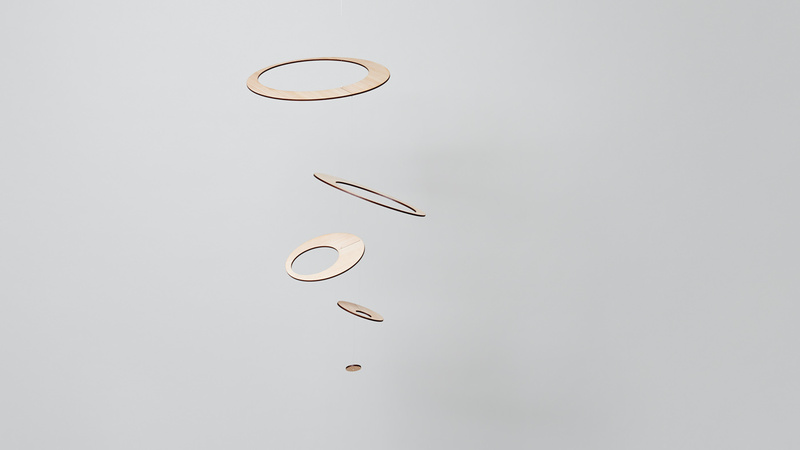 A series of wooden mobiles named satellite. Each one of these mobiles is cut out from a piece of wood veneer by laser. Catching the breeze in a fine balance, the satellite displays its microcosmic world with a mysterious movement. Four (4) different wood materials are available to choose from. Have an experience with the microcosm of your own choice.